The advantages of the PT500 PT Core Fuel-Cell Technology are numerous! The PT500 offers a simple menu-driven operation allowing you to take a test, set specific alarm points or check how many tests have been performed. The PT500 has a brilliant 4-digit test result display that can pick up trace amounts of alcohol-examples such as 0.003% or 0.006% BAC -which is the perfect solution for zero-tolerance testing environments screening for the presence of small amounts of alcohol. PT Core Fuel Cell provides more reliable, consistent and accurate results as compared with semi-conductor breathalyzers. 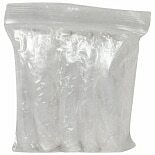 PT Core Fuel Cell will reduce false positives for someone who is diabetic or on a low calorie diet. Other semiconductor breathalyzers will sometimes show a false positive result for these individuals but the PT Core is not subject to interference from ketones which can be seen in conditions such as diabetes or people on fad diets. The PT500 also exhibits a linear response to measured alcohol, allowing the unit to provide more accurate and consistent results over the complete range of alcohol concentrations. This is especially true at higher BAC concentrations, such as 0.255% BAC, where the PT Core Fuel Cell will provide more reliable and consistent results whereas semiconductor models may become less accurate at the higher BAC ranges. PT Core extends the life of the sensor and allows for 1000s of tests to be performed. 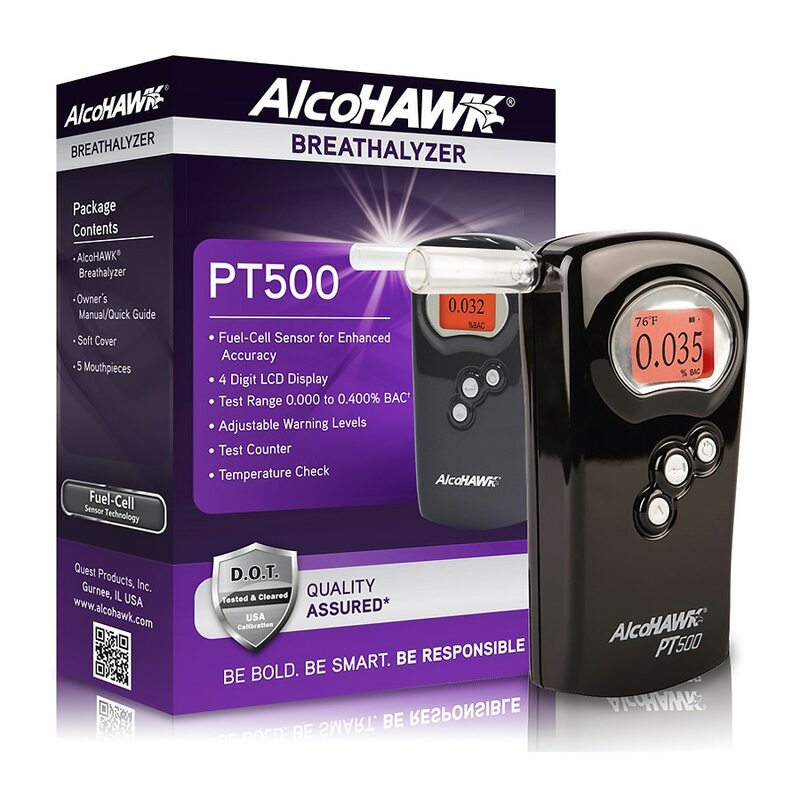 The AlcoHAWK PT500 Breathalyzer utilizes a highly accurate and reliable PT Core fuel cell sensor technology. This enhanced technology allows the PT500 to be operated as a screening device for professional, medical, and law enforcement testing applications. The PT500 is the perfect choice for law enforcement, hospitals, clinics, businesses, and for personal use -- anytime and anywhere fuel-cell accuracy is required rely on the PT500! The AlcoHAWK PT500 features an user friendly operation menu that allows for customized audible warning beeps, blowing time, units of measure, testing, and more. Messages are clearly displayed on the bright LCD screen to assist in proper testing. Hold the power button to turn on the device and the PT500 will display 'Initializing' as it prepares for use. To start a test, simply push the test button and the unit will display 'Blow Now'. As the user starts blowing the unit will give an audible beep to signal the start of the test and the user will blow SLOW and STEADY for 5 seconds as the unit will give a second beep to signal completion of the testing. The unit displays Processing" while analyzing the sample and in seconds the PT500 will give the BAC measurement from 0.000 to 0.400 %BAC.